a pulse that has been used since the ancient Egyptians, for a very long time was the main dish of traditional cuisine. 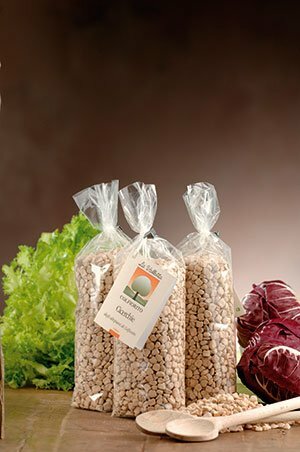 La Valletta, with its quality production, has contributed, among other things, to the revival of this pulse and to establishing it as part of traditional cuisine. The grass pea, with its unmistakeable flattened shape and typical brown marble-veined colour, is highly appreciated for its vitamin-rich, calcium, phosphorus and fibre content.